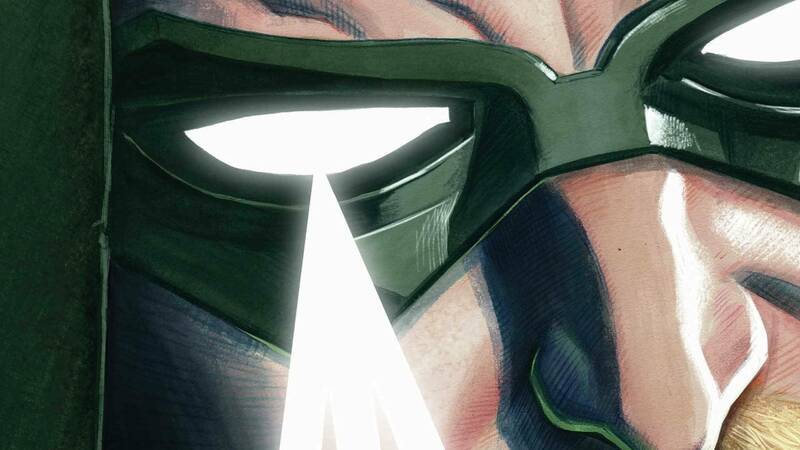 DC Rebirth EXCLUSIVE: Preview Next Week's Green Arrow: Rebirth #1 Right Here! DC has provided ComicBook.com with an exclusive preview of Green Arrow: Rebirth #1 from writer Ben Percy and artist Otto Schmidt. The issue, following up on clues dropped in today's DC Universe: Rebirth #1, pulls Green Arrow and Black Canary back together for the first time since 2011's Flashpoint reboot. And with both that issue and the Season Four finale of Arrow hitting today, we figured sharing this right away would be a good time to tie into the general zeitgeist of the comics internet today! Together again for the first time, the Emerald Archer meets Black Canary. Questioning everything Green Arrow believes in, Dinah Lance throws the hero’s world upside down, forcing him to question what he cares about more: his morals or his money? When we spoke with writer Ben Percy recently, he told us that Black Canary and Green Arrow -- while not close in the post-Flashpoint DC Universe up to this point -- will quickly find that they have a connection they can't explain. "I'm so glad this Rebirth opportunity came up, because I wasn't allowed to put her in there right away, but I'd hoped that this moment would come," Percy said. "So I was cycling Oliver through all of these different relationships so that when Black Canary came into the fray again, the relationship would matter. That the reader could understand this is what he's been pining for." Green Arrow: Rebirth #1 is due in stores on next Wednesday, June 1. You can check out the preview pages below.